Young children live with awe and wonder as their daily companions. But as they grow, worries often crowd out wonder. Knowing this, how can parents strengthen their kids' love for the world so it sticks around for the long haul? Thankfully, parents have at their fingertips a miracle vaccine-one that can boost their kids' immunity to the world's distractions: stories. Well-chosen stories connect us with others, even those on the other side of the globe. Build your kids' lives on a story-solid foundation and you'll give them armor to shield themselves from the world's cynicism. You'll give them confidence to persevere in the face of life's conflicts. You'll give them a reservoir of compassion that spills over into a lifetime of love in action. Parents can introduce their children to the world from the comfort of home by simply opening a book together. 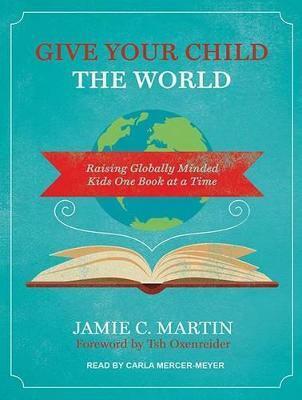 Give Your Child the World is poised to become a bestselling family reading treasury that promotes literacy, develops a global perspective, and strengthens family bonds while increasing faith and compassion.